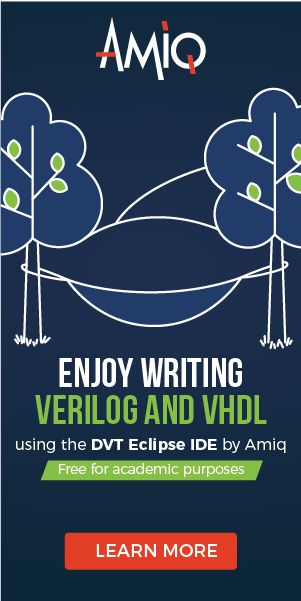 VHDL code for a 8-bit comparator is presented in this post. 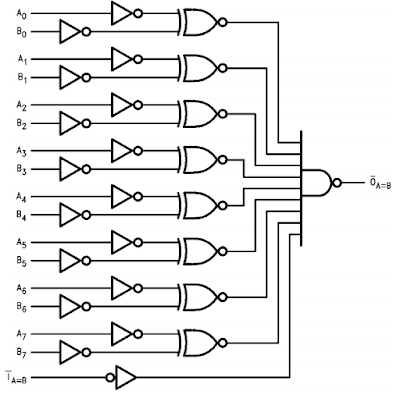 74F521 is an 8-bit identity comparator which provides the low output if two 8-bit inputs are matched. 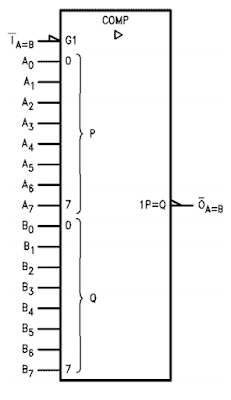 Below are the truth table and symbol of the comparator.